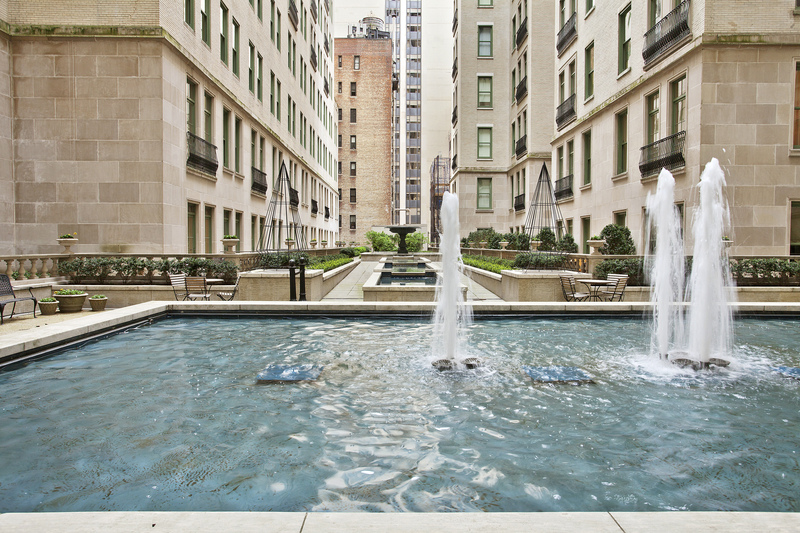 Very spacious 1155 one Bedroom with 11 ft ceilings and graciously proportioned rooms. The beautiful Living room has large French doors and Juliette balconies, leading to the landscaped Plaza Gardens with Fountain and Reflecting Pools. Finishes encompass herringbone oak floors surrounded by inlaid border, custom lighting and sound system. The enormous Master Bedroom has an en suite Master Bath with double sinks, shower stall and soaking tub. The Master Bath and Powder Room include an original marble mosaic patterned floor derived from the historic Plaza lobbies. Bathroom fixtures and fittings with "Double P" insignias are crafted by Lefroy Brooks and Kohler exclusively for The Plaza Private Residences. The custom Plaza kitchen has Plaza Collection appliances by Viking and Miele with glass-fronted custom cabinets. The striking nero marquina stone countertops compliment the white mosaic calacatta marble backsplashes. Built in 1907 by Henry J. Hardenberg in the style of a French Renaissance Chateau, The Plaza is a National Historic Landmark. 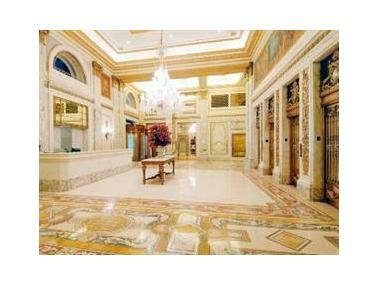 Once home to the Vanderbilts and Astors, it continues its reign among the most prestigious addresses in the world. 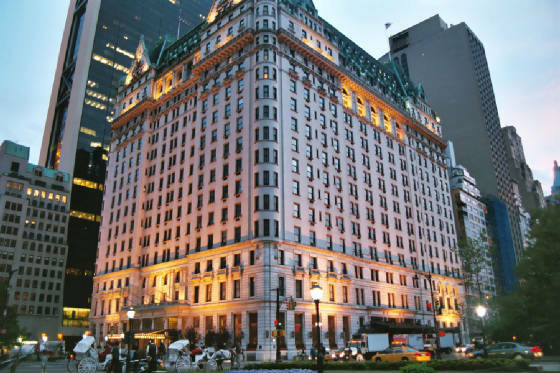 The Plaza Private Residences offer residents full Hotel Services, Luxury Attache Concierge Service, and amenities including The Oak Room and Oak Bar, The Palm Court, The Grand Ballroom, The Champagne Bar and Rose Club, The Plaza Food Hall by Todd English, La Palestra fitness center, Caudalie Spa, and Warrren Tricomi Salon.